Due to the popularity of smartphones and affordability of high speed internet, Home Owners are choosing to drop their home phone lines. In fact, 50 percent of homes no longer have a phone line and nearly 90 percent of Reed Security's new subscribers use Alarm.com 4G LTE cellular and I.P. signalling instead. Drop your home phone line today and save $20 to $30 a month with your phone company. 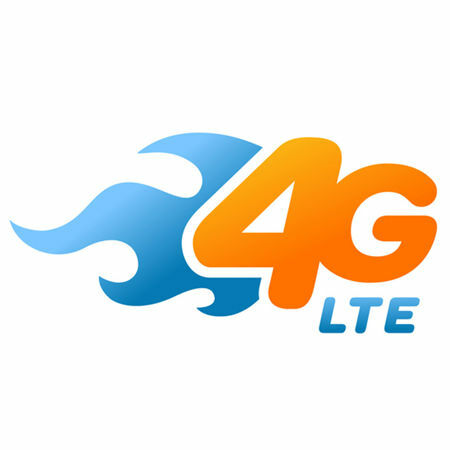 Alarm.com 4G LTE signals are sent to Reed's 24/7 Rapid Response Monitoring Stations instantly upon an alarm. This dedicated connection works if the phone line is cut, power is out or internet is down. 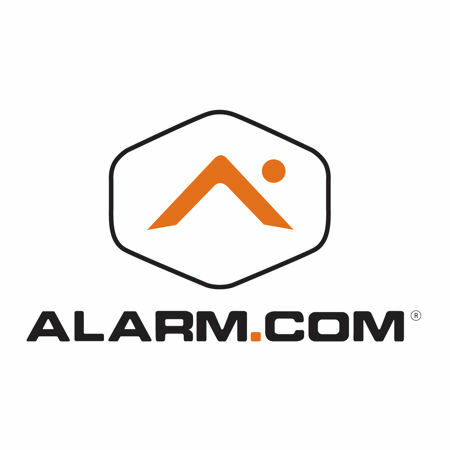 Alarm.com comes with patented Crash & Smash Protection that ensures protection even if your security control panel is damaged or destroyed by an intruder. You will always be protected! Alarm.com works on most cellular networks including SaskTel, Telus, Bell, and Rogers. This includes remote rural areas such as farms and lake properties. Arm/Disarm your smart security system remotely. Receive instant alerts via text message and/or email to your smartphone when the kids arrive home or staff arrive (or don't arrive) to work. Manage Users and control what they can do and when with User Code Control. Much easier than programming from a keypad. Geo-Services uses your smartphone's location to take useful actions on your behalf. When you pull up to your home on a dark night...the lights can automatically turn on a few minutes before you arrive. 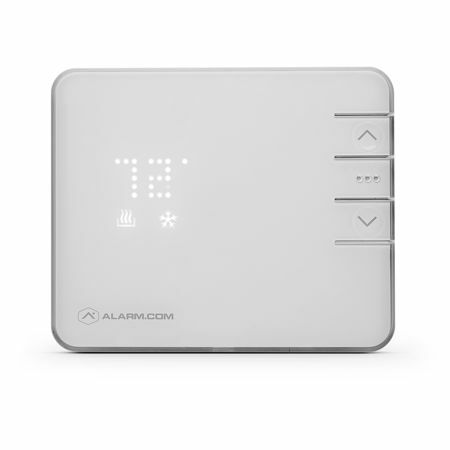 Make smarter energy decisions with emPower by Alarm.com. Manage your temperature settings with automated schedules and control remotely with apps . You can keep the family room comfortable on the weekend, make sure the nursery is exactly the right temperature at naptime, and have the whole house drop to a savings setting when nobody is there. 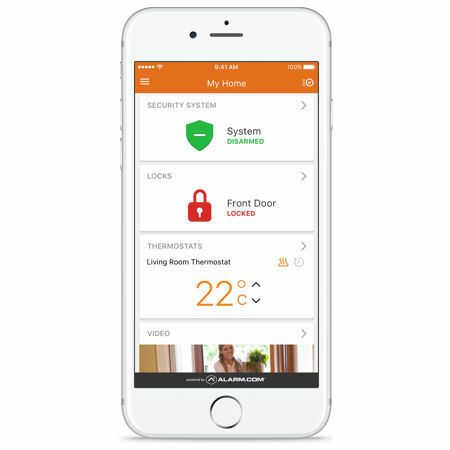 The Smart Thermostat uses all the security sensors around the home so it can automatically respond to different conditions and activities. Manage lights with automatic schedules and set rules to have lights automatically turn on in an alarm event for added visibility and safety. 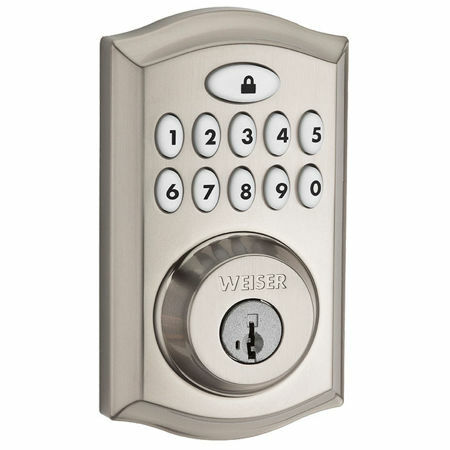 Eliminate the need for keys with smart locks. Give each user their own lock code, remotely lock or unlock the door through your app, and get a notification whenever a user unlocks the door. A perfect solution for kids that keep losing house keys. Check on the status of your doors and garage and know if they're secured or not. Get an alert if the garage door is left open, and close it from your app. Always know who's at your front door. The Alarm.com app sends you an alert when a visitor presses the doorbell or if motion is detected. See, hear and speak to the visitor whether you're at home, at work or on the go. Replaces your existing wired doorbell. Requires a strong Wi-Fi Connection. 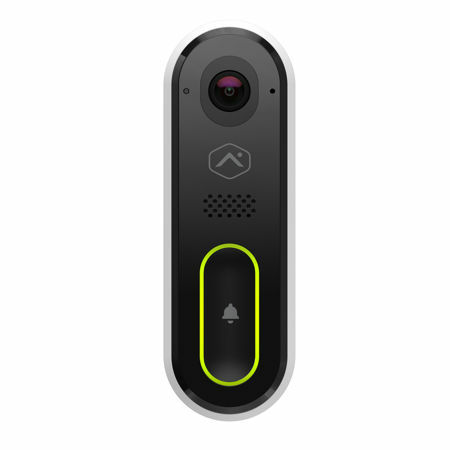 Features include: 1080p HD, 5x zoom, nightvision, motion sensing, live monitoring, cloud video recording, multiple users, hear and speak, activity history, quiet mode and snap photos. 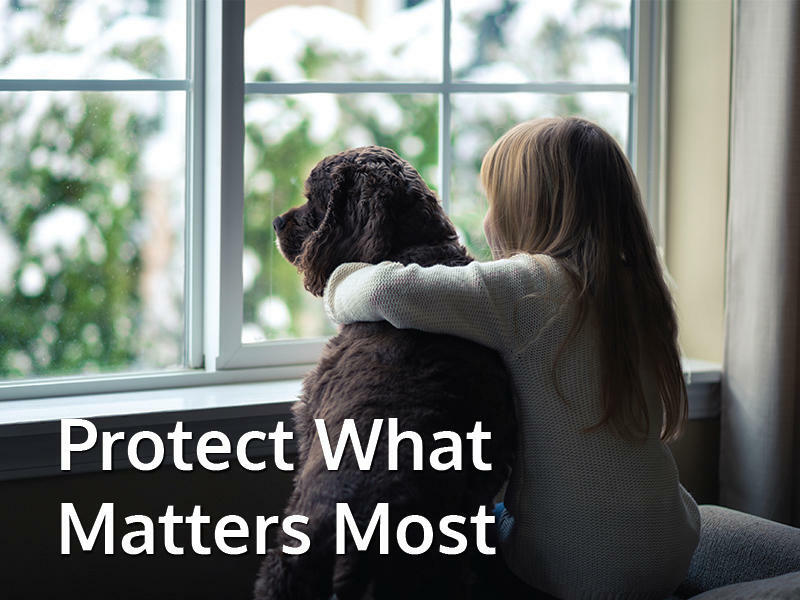 Keep an eye on what matters to you with ReedHD™ hi-def cameras. Peek-in to watch live streaming video anytime, get video alerts if a specific activity occurs, and watch recorded clips – all from your app. Check up on the kids, pets and visitors, and activities around your property. Get an automatic video clip when someone disarms your security system, unlocks the front door or sets off the alarm. 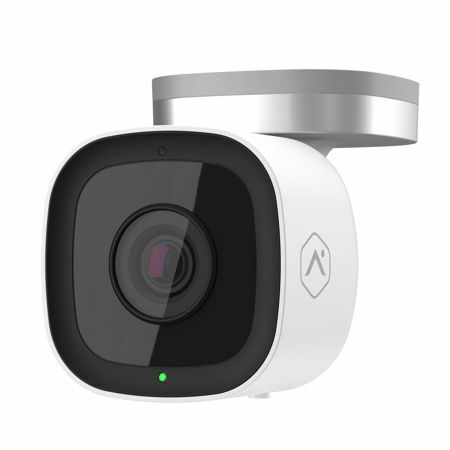 Features include: 1080p HD, 5x zoom, nightvision, motion sensing, live monitoring, cloud video recording, multiple users, activity history and snap photos.